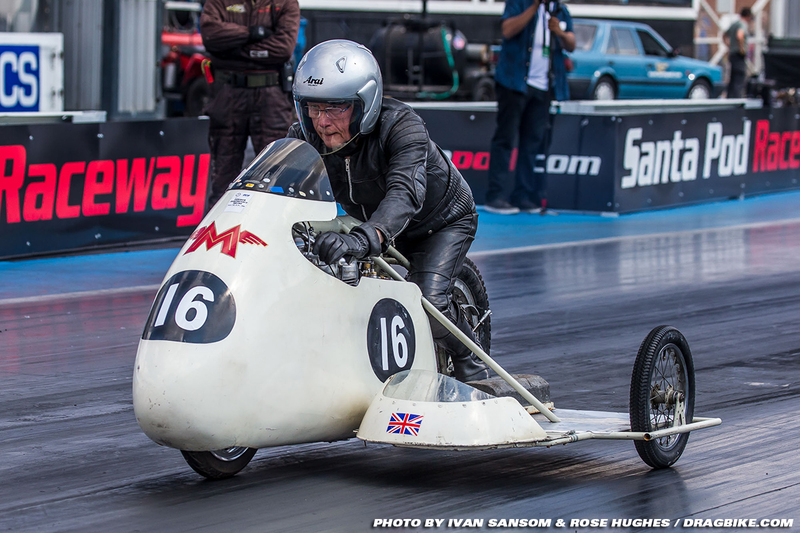 Nostalgia isn’t what it used to be, it appears to improve year on year. 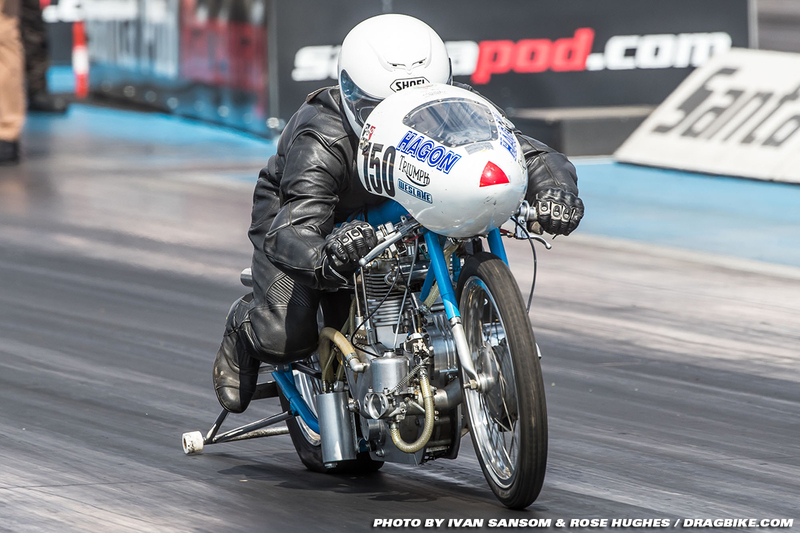 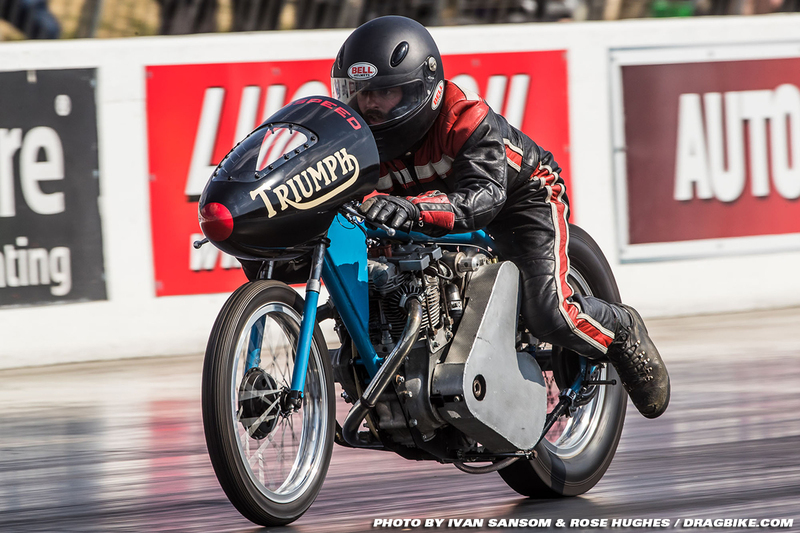 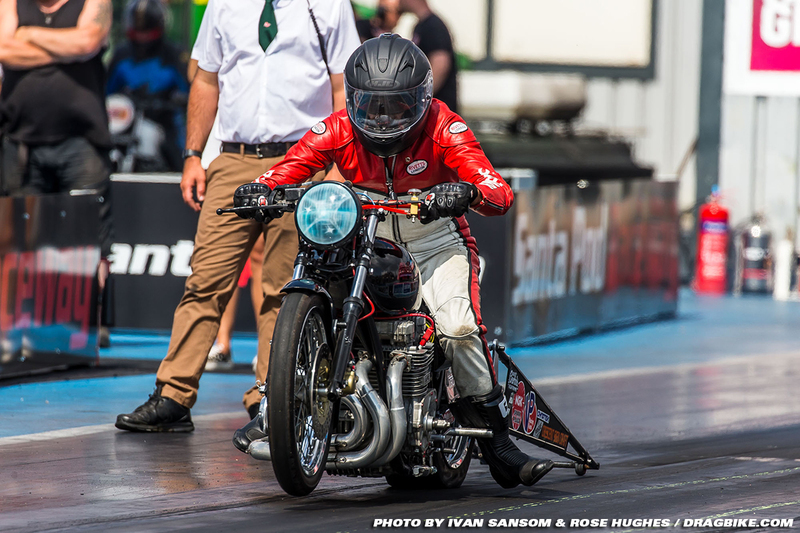 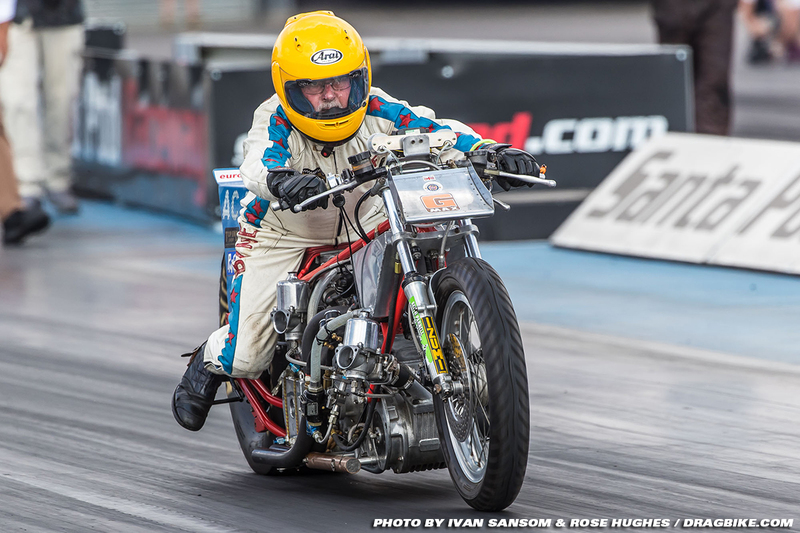 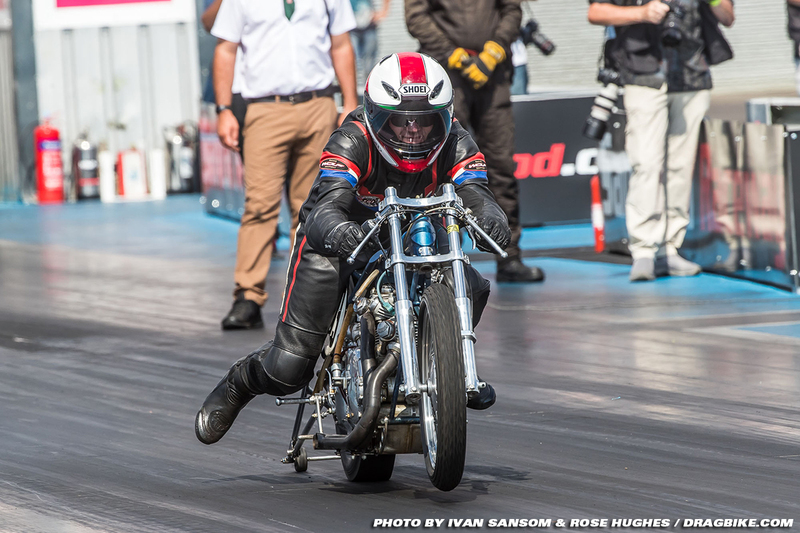 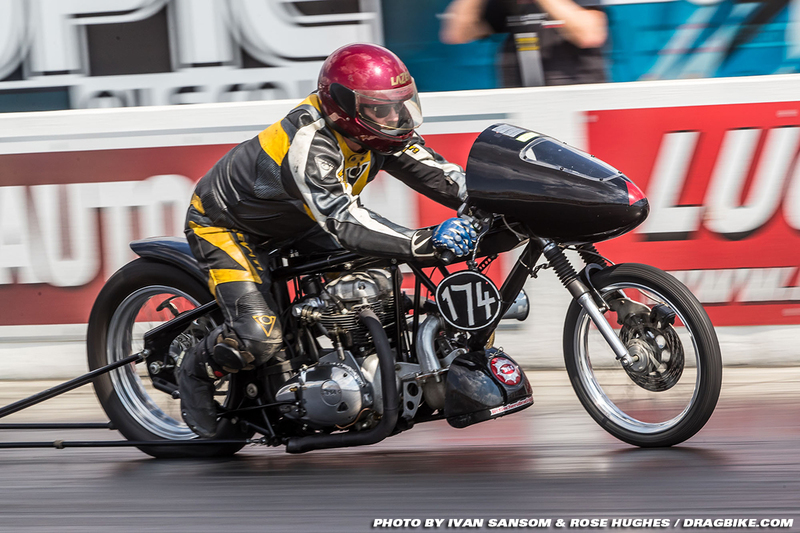 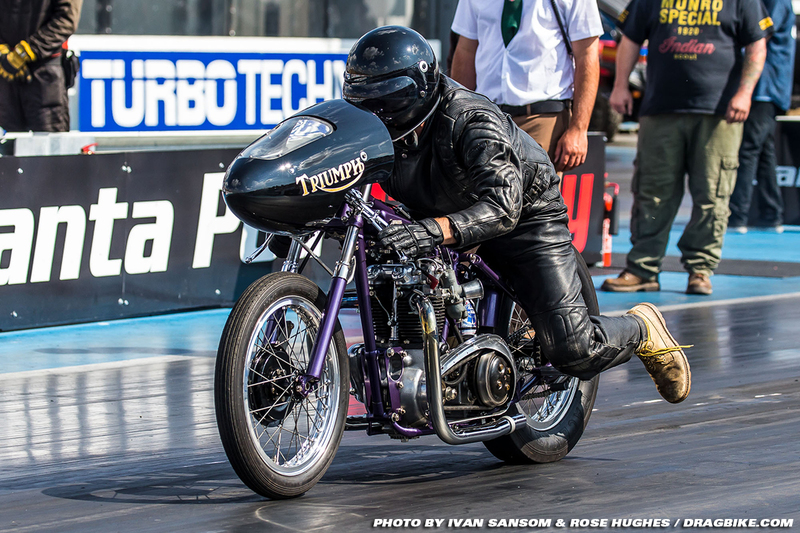 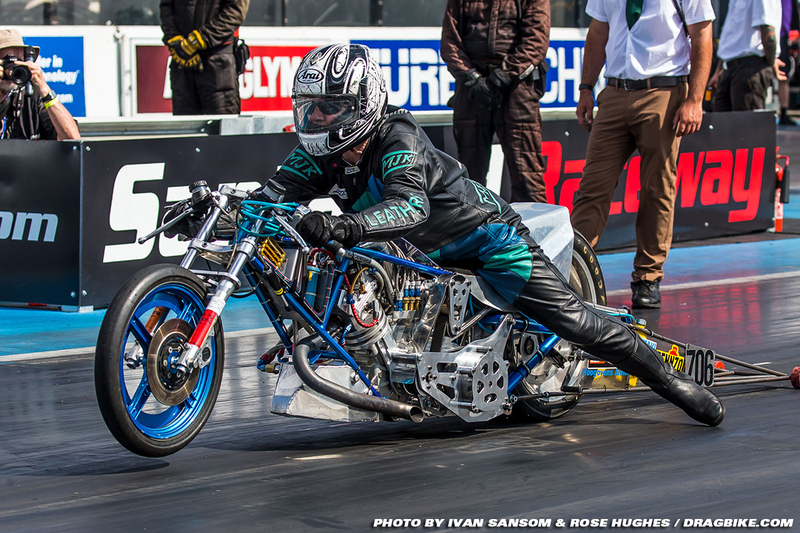 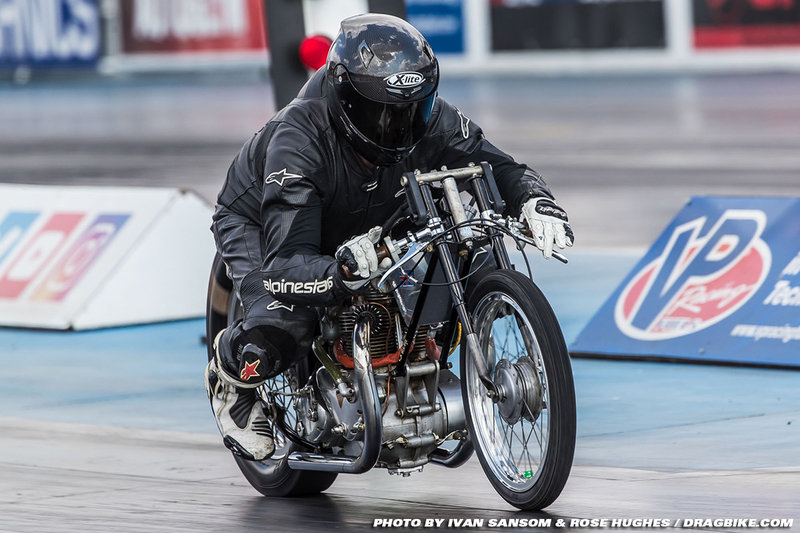 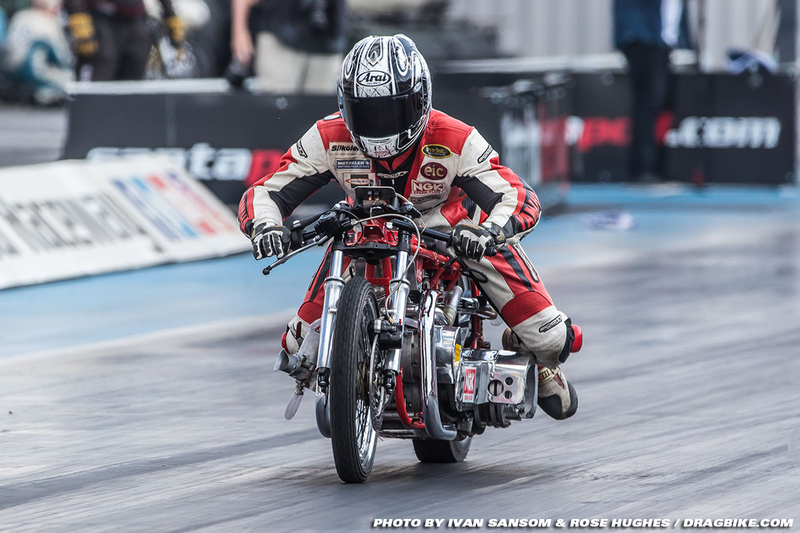 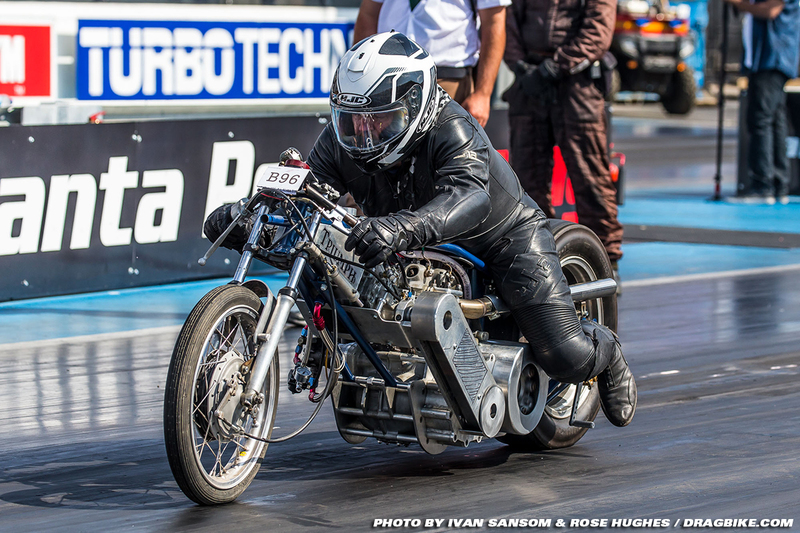 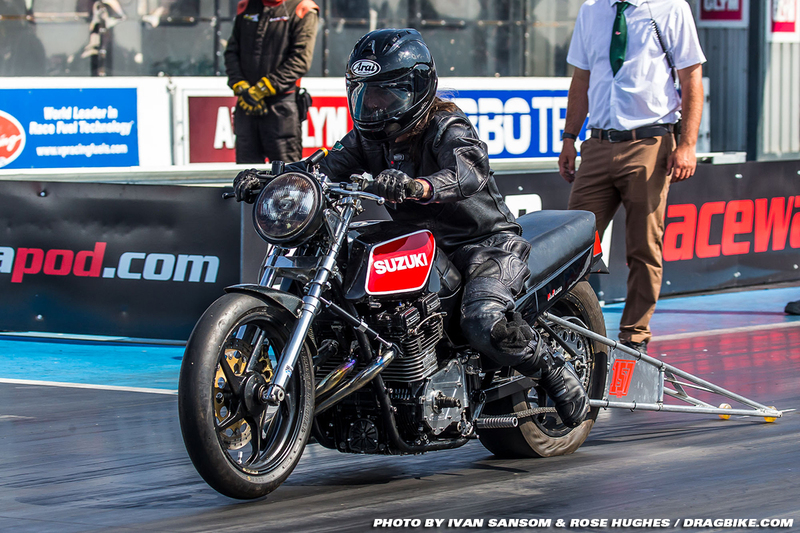 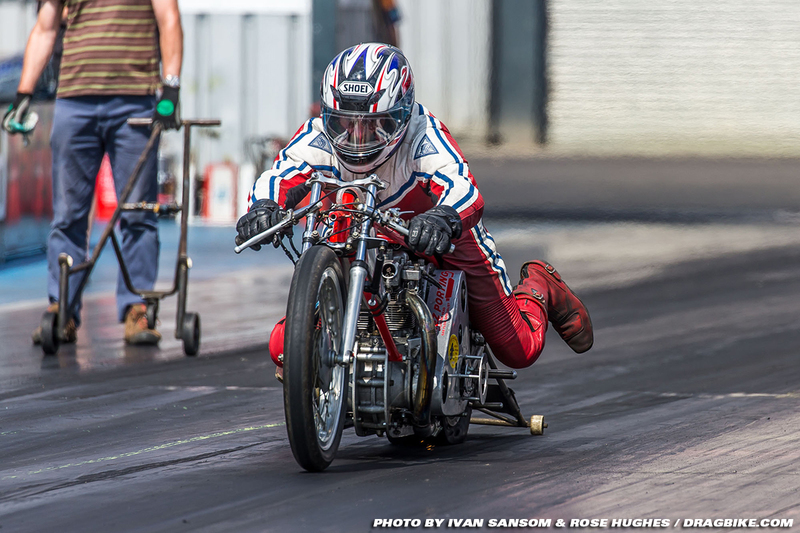 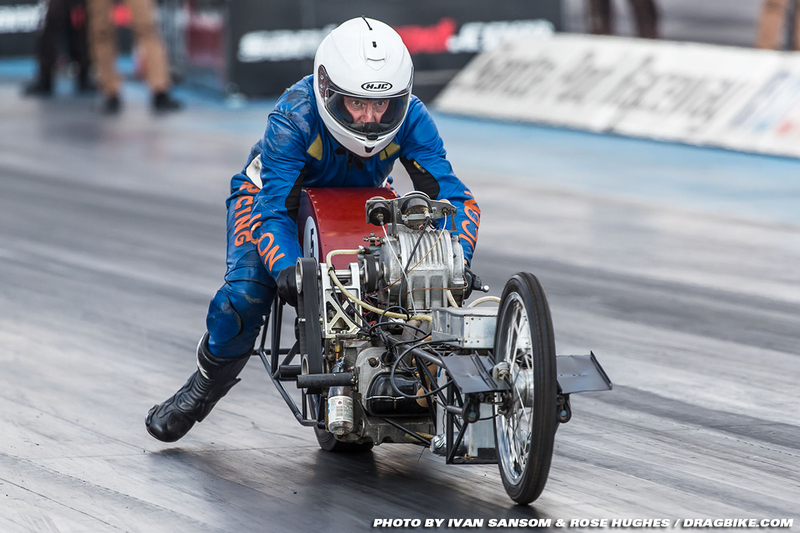 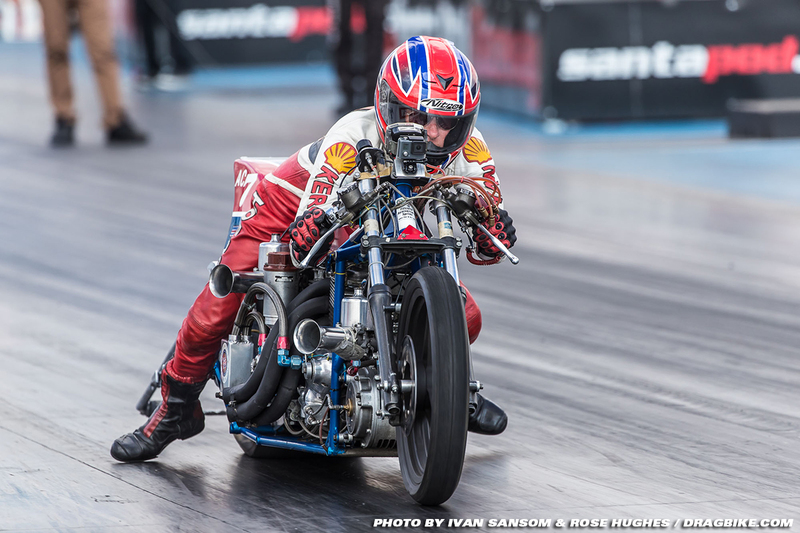 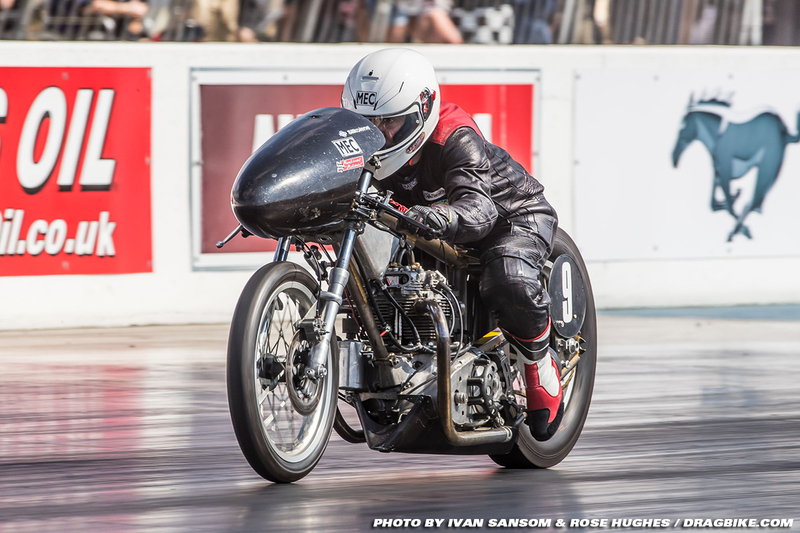 Seven years down the line and Dragstalgia is firmly established in the racegoers calendar with fields growing, performances getting quicker and faster, and the racing portion getting more competitive. 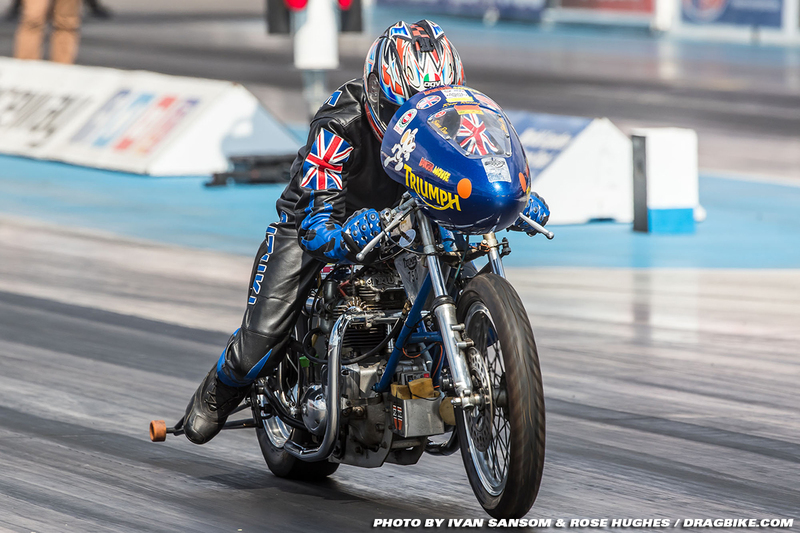 With the UK basking (okay, basking sounds like it was pleasant, it has been too hot for too long this summer!) 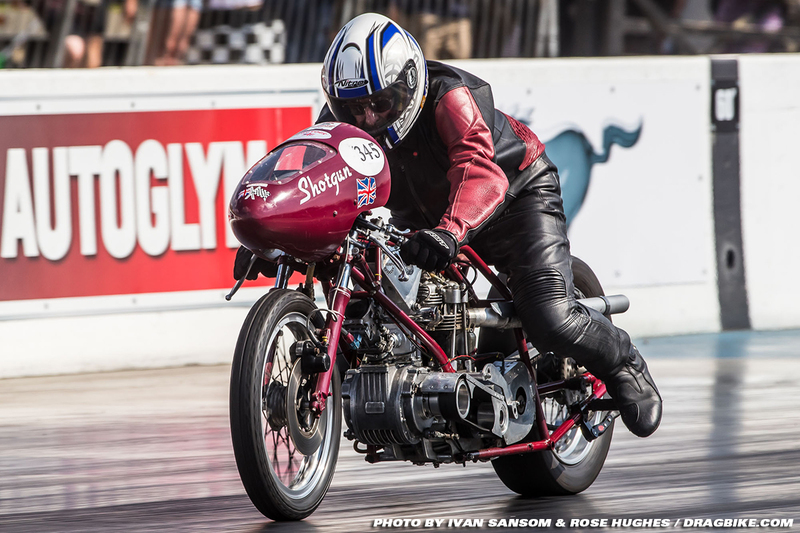 in a summer for the ages, the 2018 edition of the event certainly lived up to its billing. 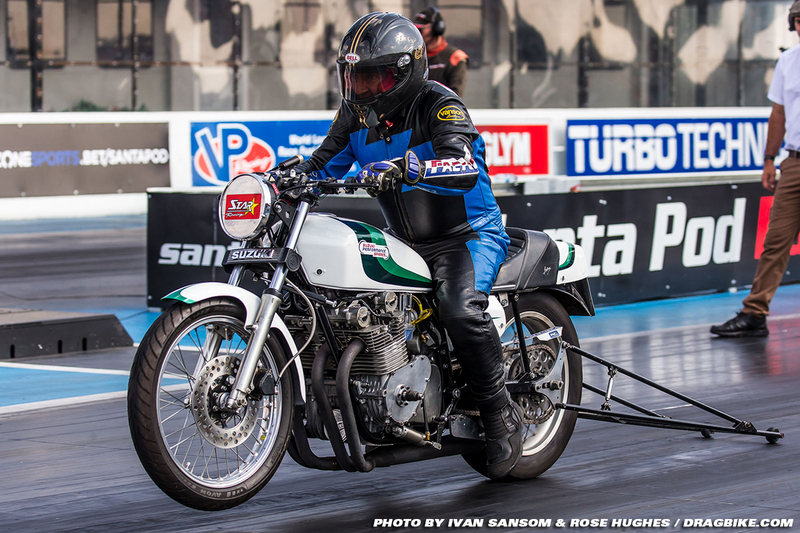 John Hobbs shows little sign of slowing down and brought the recreation of the Olympus Triumph and the blown double Weslake Hobbit that served him well through the 60s into the 80s to mix it up in the NSA demo. 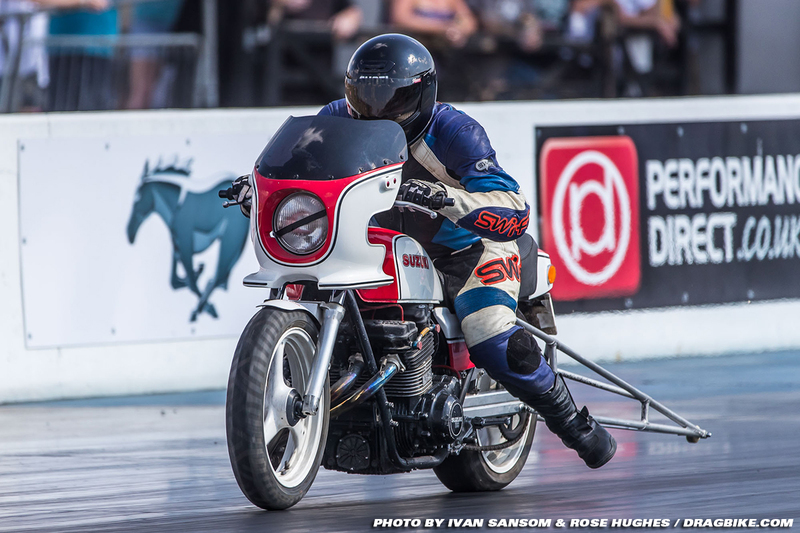 Some mixed fortunes, with Olympus going pop on its only outing, but the Hobbit sped to an 8.5798 best that would have been pretty stout in it’s late 70s—early 80s pomp. 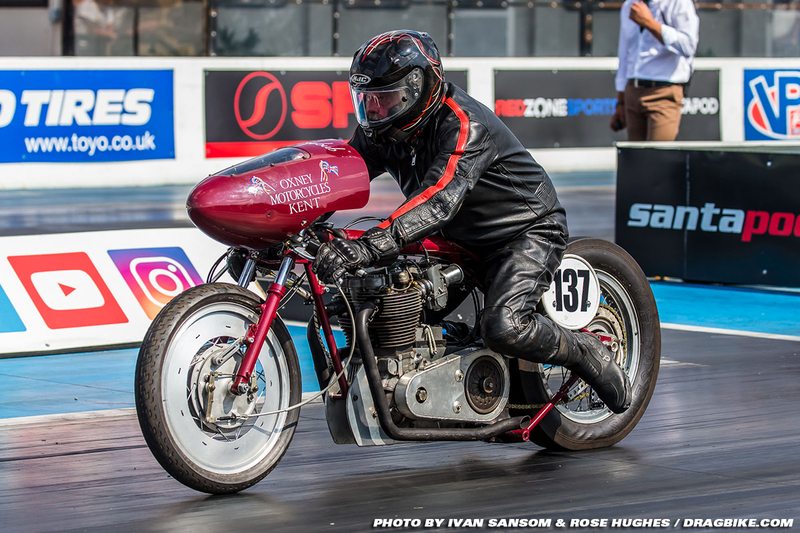 Not for the first time, Hobbs’s opponent in the final (resulting from the quickest pair from the preliminary sessions) was due to be Martin Wilmott and his 500cc Capella Triumph who had carded a low nine but was a no-show. 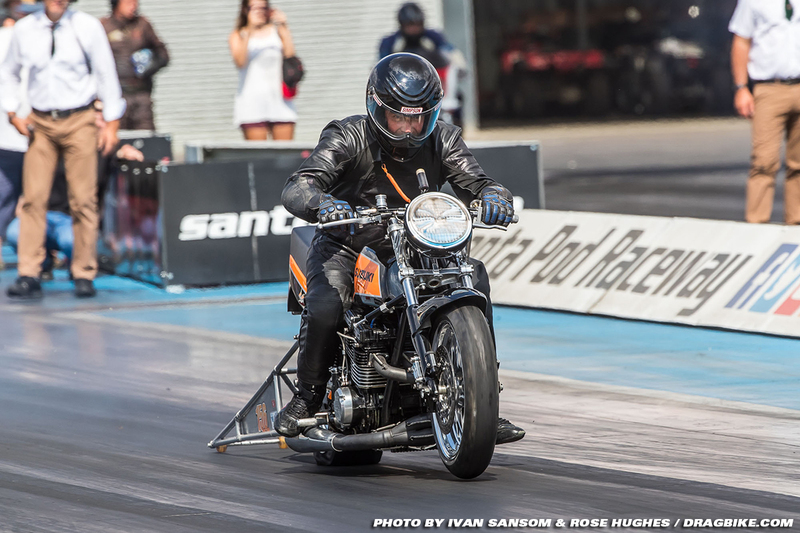 One of the features of this year’s NSA show was the increasing internationalization with French, Belgian and Italian riders joining in the fun and games. 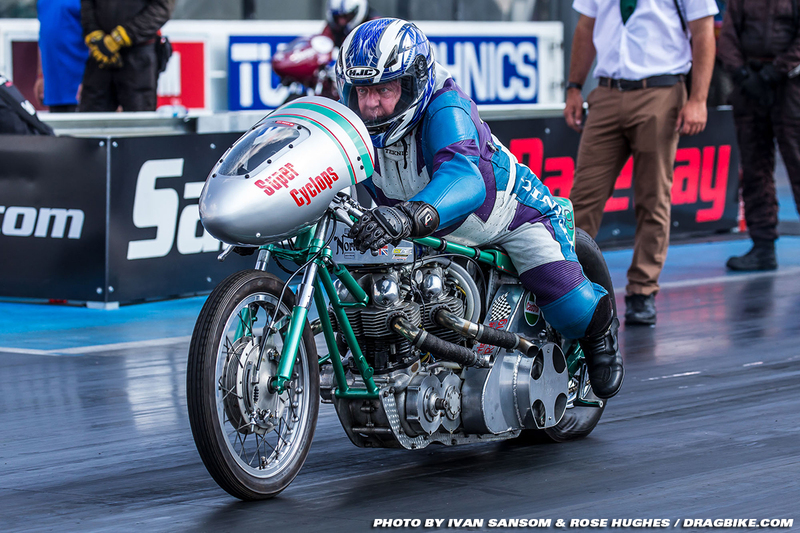 We should also tip the cap in the direction of veteran drag bike journalist Keith Lee who not only has been the organizing force behind the two-wheeled showdown at Dragstalgia for the past seven years but has also managing to juggle a microphone and his camera on the startline and was a very deserving recipient of the Spirit of 76 award this time around. 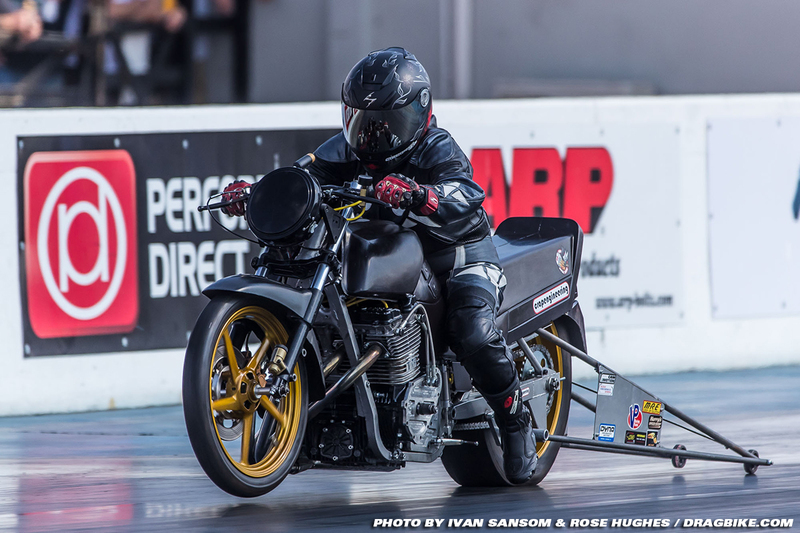 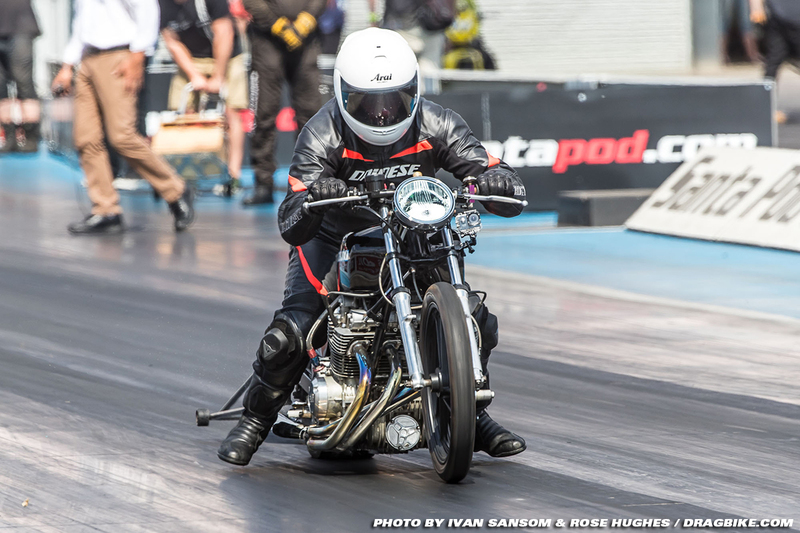 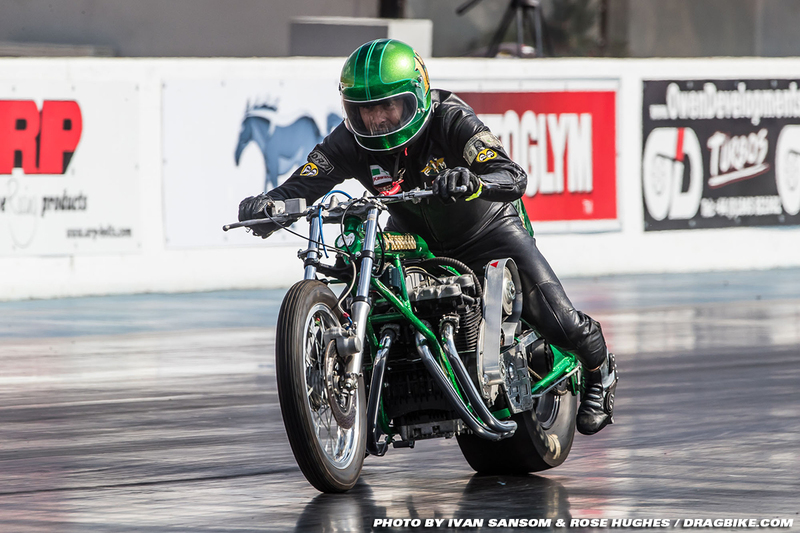 In contrast to the NSA, the stocker collective ran through four rounds of eliminations eventually crowning Andy Lambert as the Dragstalgia winner for the second season in a row with an 8.9778/142.98 from his z900 also earning low qualifier spot and the weekend’s low ET. 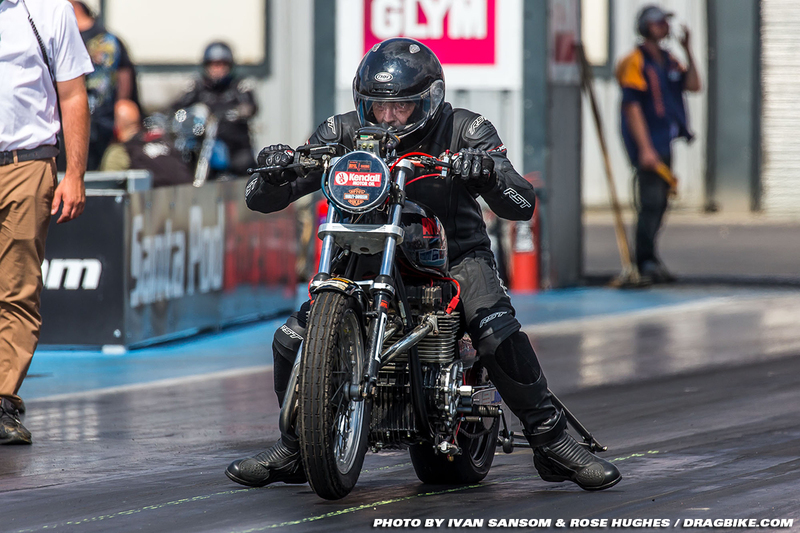 Tyne Blight was due to be his final round opponent, but the GSX 1100 ET refused to start despite just minutes earlier managing to break the beams on a semifinal solo. 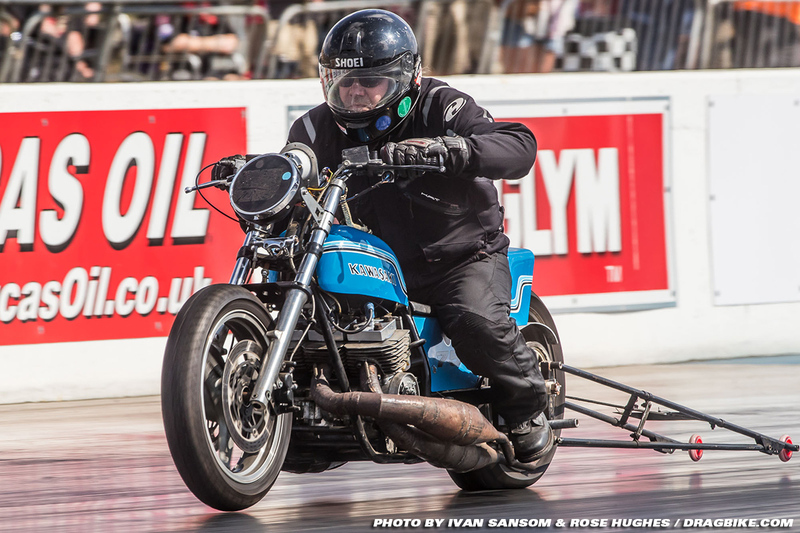 The appetite for small-tire old school stockers appears to be as yet unsated with an increased entry of twelve (eleven managing to get a qualifier in) in the second year that the class has graced Dragstalgia and a fair few more in various states of readiness around the country and beyond, including the strongly rumoured return of the late Brian Johnson’s Imperial Wizard one of the class leaders when British barred bikes transitioned from Pro Street to Pro Stock back in the early 80s.